You are purchasing a wholesale lot of assorted bath sponges. This lot contains approx. 50 sponges. This sponges in this lot are a mixture of different styles, sizes, colors, ext. Please see the original images for the assortment in the lot. We can not guarantee how many of each piece you will receive. The items in this lot are new, still in retail packaging or with tags. 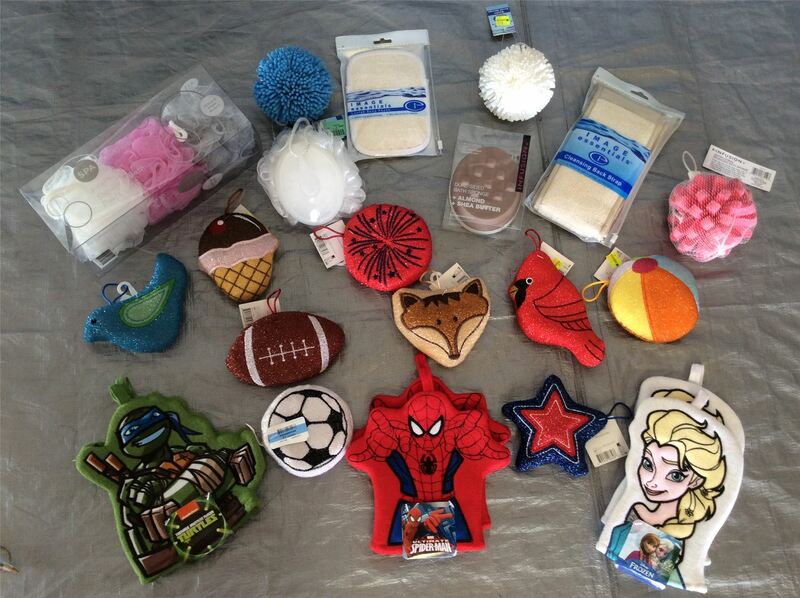 Click the button below to add the Wholesale Lot of Assorted Bath Sponges, Mixed Styles, Approx. 50 Pieces to your wish list.